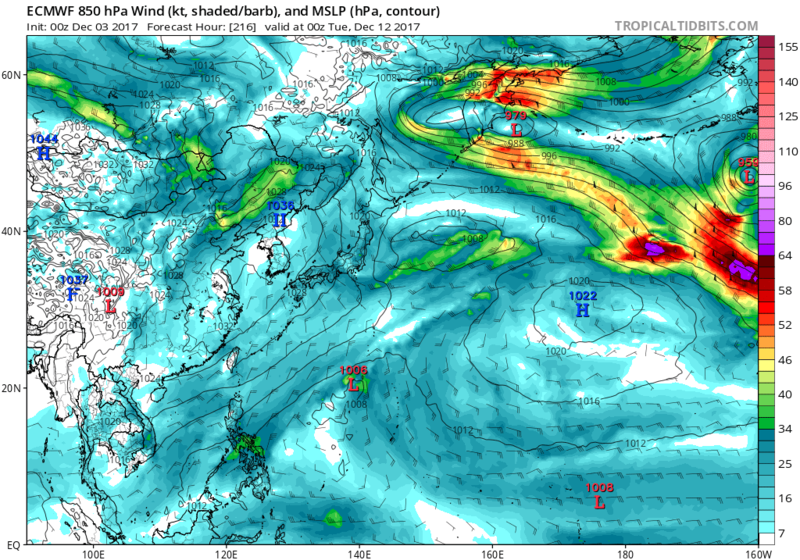 This MJO and Kelvin means business. 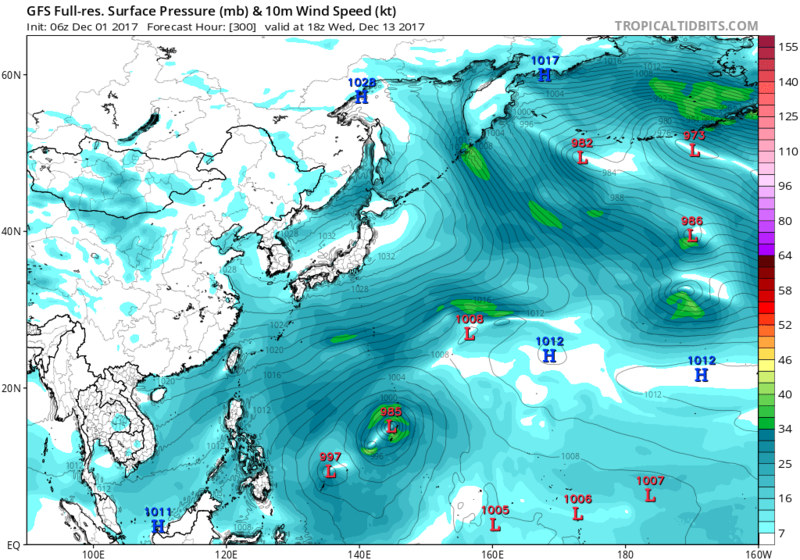 GFS has a somewhat large monsoon gyre like system in December? 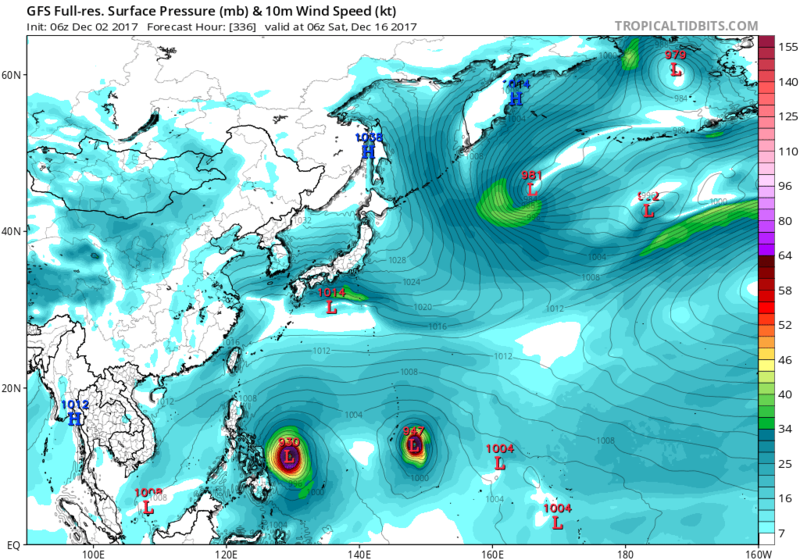 It has 2 systems affecting the Marianas. and choppy seas are possible. NAVGEM now on board with development. 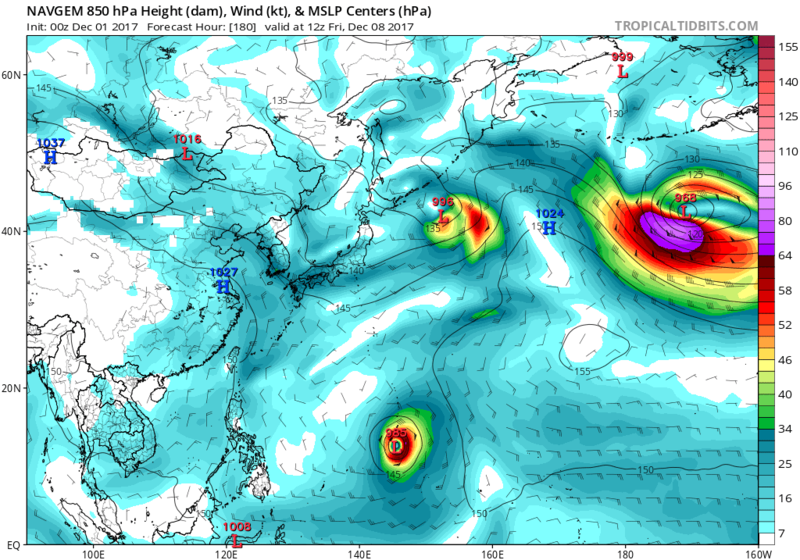 While EURO continues to be quiet, the GFS has multiple lows in a large monsoonal like system. Eventually the eastern most wins out. You can see what is left of 94W near Yap and Palau almost 10 days after formation. Heh, that looks fun to track. Something tells me it's not going to verify though. I have my doubts about 94W, it's simply scrambled eggs! 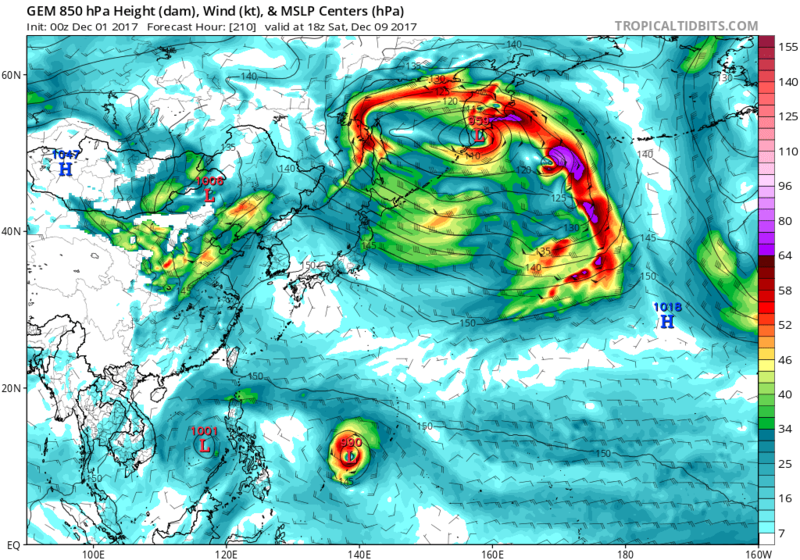 Interesting to see GFS and CMC insist on a strong typhoon in the mid-range to long-range with the GFS shifting, showing a pretty noticeable trend. Let's see if this verifies. My gut tells me something big could happen this month or early next year. xtyphooncyclonex wrote: I have my doubts about 94W, it's simply scrambled eggs! 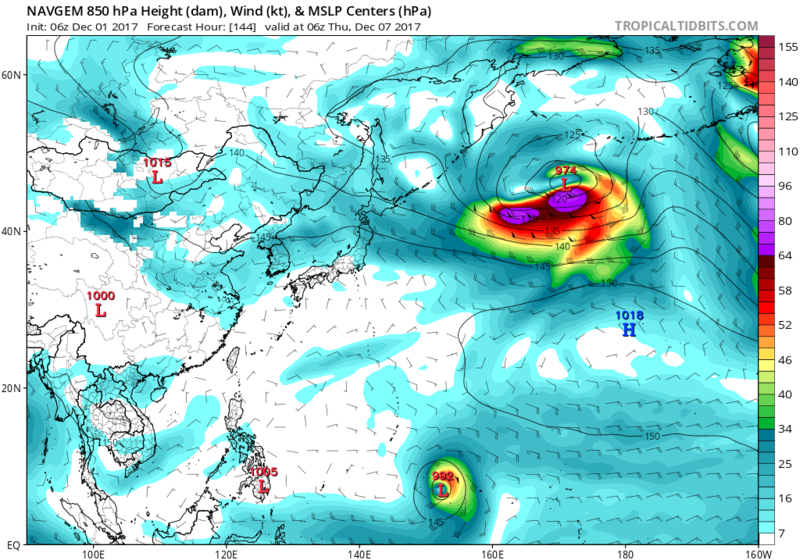 Interesting to see GFS and CMC insist on a strong typhoon in the mid-range to long-range with the GFS shifting, showing a pretty noticeable trend. Let's see if this verifies. My gut tells me something big could happen this month or early next year. Viola! 94W dissipates and GFS caves in to EURO showing no development at all. Applause for EURO. Fail for GFS. 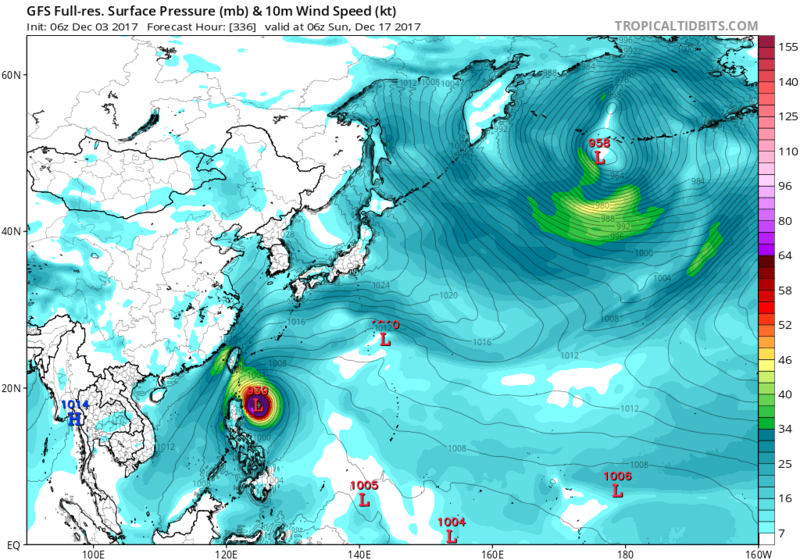 EURO for the first time shows the Guam system but keeps it weak. 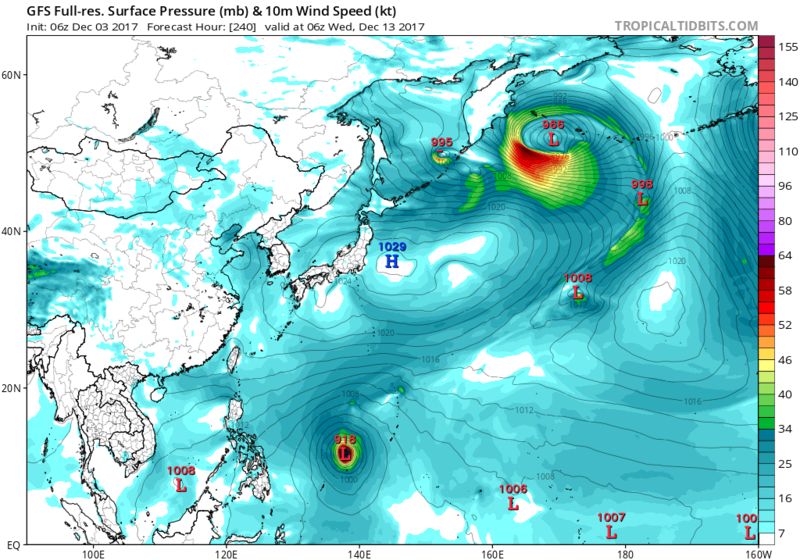 GFS continues to be robust with it. It had it peaking sub 900mb but still a cat 5 barreling through the Islands. We've seen this before. GFS 18z run faster building ridge would spell problems maybe for PI. 170KTS @850mb. on the run. Invest now up for Micronesia system. 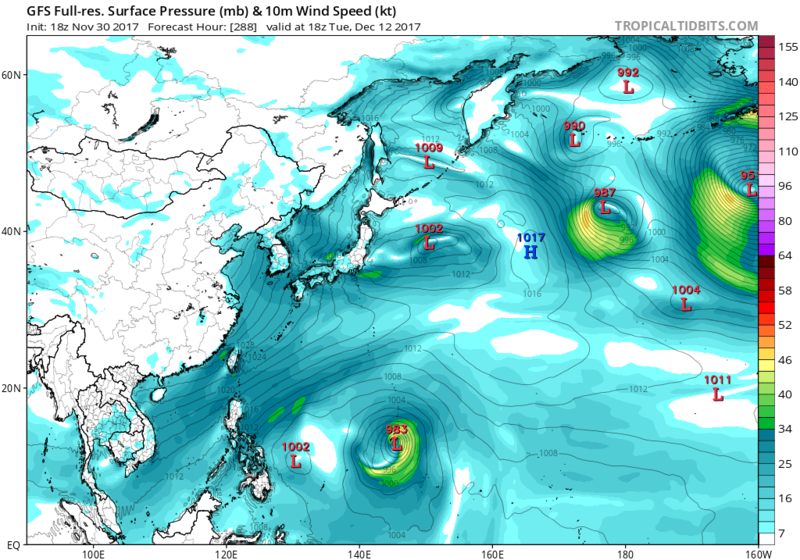 EURO and GFS has more possible TC's developing from the Malay Peninsula to southeast of Guam. "On November 16, China's most advanced research vessel, named Ke Xue (Science), completed its 2017 scientific expedition in the western Pacific Ocean. 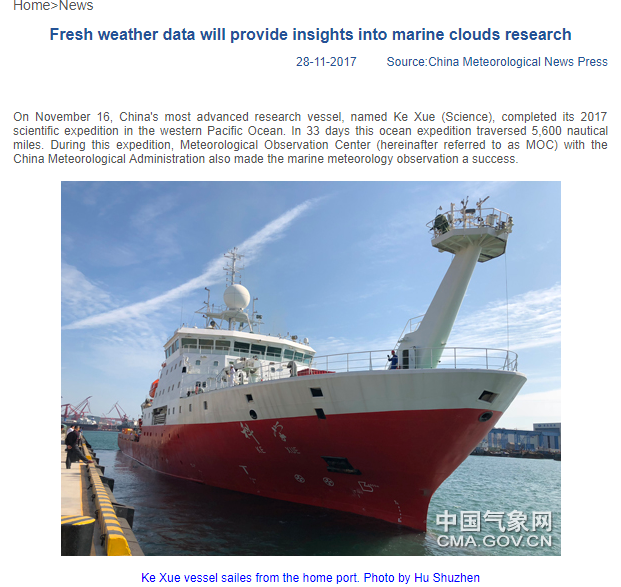 To understand the formation and evolution of clouds in low latitude area of the western Pacific Ocean and get insights into their macro- and micro property, MOC conducted the cloud observation in the western Pacific Ocean with millimeter-wave cloud radar and all sky imager onboard Ke Xue. The meteorological group released four meteorological drifting buoys as a way of collecting marine weather data. 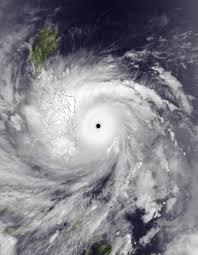 During this scientific mission, Ke Xue went through three typhoons, namely, Super Typhoon Lan, Typhoon Saola and Haikui." That area south of Guam is starting to flare once again. Back to back strong phantom systems but nothing materializes.